Atlantic City, New Jersey (March 1, 2018)–Heavyweight Chazz “The Gentleman” Witherspoon will take on veteran Mike Sheppard in in the eight-round main event on Saturday, March 10th at The Claridge Hotel in Atlantic City. 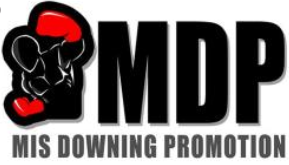 The bout will headline a nine bout card dubbed “Ring Redemption” is promoted by Mis Downing Promotions in association with Silver Spoon Promotions. Witherspoon of Paulsboro, New Jersey has a record of 36-3 with 28 knockouts. The 36 year-old Witherspoon is a 14 year-veteran who has wins over Michael Alexander (11-0), Talmidge Giffiths (24-6-3), Jonathan Haggler (18-1), Adam Richards (21-1), Ty Cobb (14-2), Nick Guivas (11-2-2) & Michael Marrone (21-5. Witherspoon is on a six-fight knockout streak, with the latest being a 4th round stoppage over Jonathan Sandoval on October 1, 2016 in Trenton, New Jersey. Sheppard of Palestine, West Virginia has a record of 25-22-2 with 11 knockouts. Sheppard is a 21 year-professional who has fought a whose-who of fighters that include former world champions Ruslan Chagaev, Antonio Tarver and James Toney: as well as world title challenger Gerald Washington. Sheppard is coming off a loss to undefeated Simon Kean on December 16, 2017 in Laval, Quebec, Canada. Seeing action in the eight-round co-feature will be welterweight Anthony “Juice” Young of Atlantic City, NJ taking on Fidel Monterrosa Munoz. The 29 year-old Atlantic City native and seven year veteran will be making his 11th start on the boardwalk. Young has won seven fights in a row, which includes his last outing, when he took a six-round unanimous decision over Carlos Winston Velasquez on August 19, 2017 at The Claridge. This will be Young’s fifth fight at The Claridge and fourth in a row. Munoz of Ecatapec, Mexico has a record of 38-16-1 with 30 knockouts. The 29 year-old Munoz is a 12 year veteran, and is the former Colombian lightweight champion. Munoz has a win over Oscar Cuero (8-0) and has been in the ring with world champions Humberto Soto & Antonio Demarco as well world title challengers Pablo Cesar Cano and Lenny Zappavigna. In six-round bouts, Mike Hilton (8-0, 7 KOs) of Trenton, NJ will take on Hector Perez (3-1, 2 KOs) of Pleasantville, NJ in a cruiserweight bout. Prince Badi Ajamu (28-3-1, 15 KOs) of Camden, NJ faces Willis Lockett (15-22-6, 5 KOs) of Takoma Park, Maryland in a cruiserweight fight. Gabriel Pham (9-1, 4 KOs) of Atlantic City, NJ takes on Blake Mansfield (6-1-1, 4 KOs) of Burlington, NC in a super middleweight showdown. In a six-round bout, John Bauza (8-0, 5 KOs) will take on an opponent to be named in a super lightweight contest. Kevin Asmat (3-1, 2 KOs) of North Bergen, New Jersey will fight Edgar Cortes (5-4) of Vineland, New Jersey in a featherweight bout. Alejandro Jimenez of New Jersey will make his pro debut against Derrick Pitts (0-1) in bantamweight bout. Dan Murray (3-1) of Lanoka Harbor, New Jersey battles Anthony Smith (1-2, 1 KO) of Fresno, California in a junior welterweight bout.